- The book was actually a two-part work of fiction statring with (1) Heidi's years of learning and travel (German: Heidis Lehr- und Wanderjahre) and (2) Heidi makes use of what she has learned. 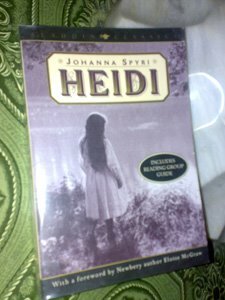 - Two sequels, Heidi Grows Up and Heidi's Children, were not written by Spyri but by her English translator, Charles Tritten. - Heidiland, named after the Heidi books, is one of the main tourist areas in Switzerland, in particular for the Japanese. - The book has been adapted into numerous films, tv series as well as theatrical shows. Heidi belongs to a group of masterpieces for children like The Little Princess, The Wind in the Willows, Rebecca and a lot more. It's one of the most beloved stories of all time. Who would ever forget the little girl from the Alps who would soon face the challenges of the life in an Urban area? What I liked most about this book is its vivid and scenic descriptions which add to the naivete of the childish main character. Adelheid alias Heidi is an orphaned girl initially raised by her aunt Dete in Mayenfeld, Switzerland. In order to get a job in Frankfurt, Dete brings 6-year-old Heidi to her grandfather, who has been at odds with the villagers for years and lives in seclusion on the alm. This has earned him the nickname Alm-Öhi ("Alp-grandfather" in the Graubünden dialect). He at first resents Heidi's arrival, but the girl manages to penetrate his harsh exterior and subsequently has a delightful stay with him and her best friend, young Peter the goat-herd. Dete returns 3 years later to bring Heidi to Frankfurt as a companion of a 12-year-old invalid girl named Clara Sesemann. Heidi spends a year with Clara, clashing repeatedly with the Sesemanns' strict housekeeper Miss Rottenmeier and becoming more and more homesick. Her one diversion is learning to read and write, motivated by her desire to go home and read to Peter's blind grandmother. Heidi's increasingly failing health and several instances of sleepwalking (it is implied that she has inherited a propensity to epilepsy from her mother) prompt Clara's doctor to send her home to her grandfather. Her return prompts the grandfather to descend to the village for the first time in years, marking an end to his seclusion. Heidi and Clara continue to write to each other. A visit by the doctor to Heidi and her grandfather convinces him to recommend that Clara journey to visit Heidi. Meanwhile, Heidi teaches Peter to read and write. Clara makes the journey the next season and spends a wonderful summer with Heidi. 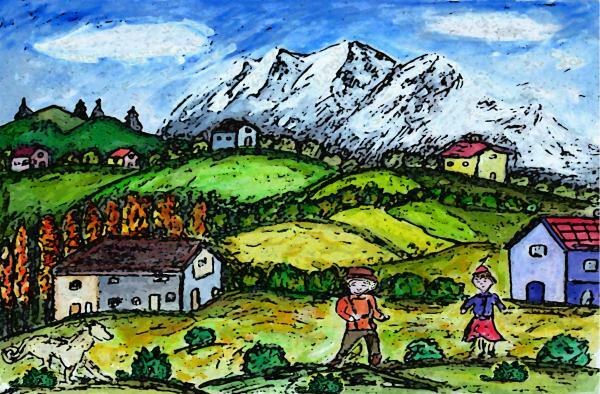 Clara becomes stronger on goat's milk and fresh mountain air, but Peter is jealous of Clara and pushes her wheelchair down the mountain to its destruction. Without her wheelchair, Clara attempts to walk and is gradually successful. Clara's Grandmother and Father are amazed and overcome with joy to see Clara walking. Clara's wealthy family promises to provide a shelter for Heidi, in case her grandfather will no longer be able to do so.